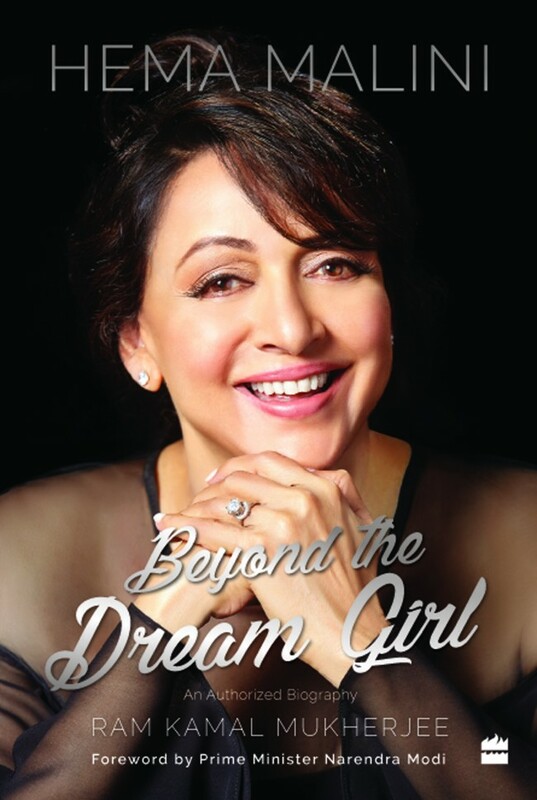 New Delhi, Oct 13 (IANS) Prime Minister Narendra Modi has penned a “short, crisp and sweet” foreword for “Beyond The Dreamgirl”, an authorized biography of actress and BJP MP Hema Malini. The book, by former editor of Stardust and producer Ram Kamal Mukherjee, will be launched on October 16, when the “evergreen beauty” turns 69. Its launch also marks the celebration of Hema Malini’s glorious run of 50 years in Indian showbiz. “Our PM has written very briefly in the book about his feelings for Hemaji. It’s short, crisp and sweet, not rubble and bubble. It’s an honour for me as an author and for Hemaji also that it is perhaps the first time that an active Prime Minister has written a foreword for a book on a Bollywood actor,” Mukherjee told IANS over the phone from Mumbai. Having started her film career in 1968 with Raj Kapoor-starrer “Sapno Ka Saudagar”, she regaled movie buffs with roles in films like “Seeta Aur Geeta”, “Sholay”, “Dream Girl” and “Satte Pe Satta”. An accomplished classical dancer, Hema Malini earned the epithet of ‘Dreamgirl’ for her flawless beauty, and became a pioneering female superstar in an otherwise male-oriented film industry. In 1999, Hema Malini campaigned for the Bharatiya Janata Party (BJP) candidate in the Lok Sabha elections in Gurdaspur, Punjab. She is now a BJP MP from Mathura constituency. “I guess it’s all because of Hemaji’s credentials and contribution to art and cinema that Mr Modi agreed to pen the foreword. When I was interacting with his office, they were very happy that Hemaji did not just limit her talk in the book to Bollywood,” said Mukherjee, who had in 2005 released a coffee table book called “Hema Malini Diva Unveiled”. 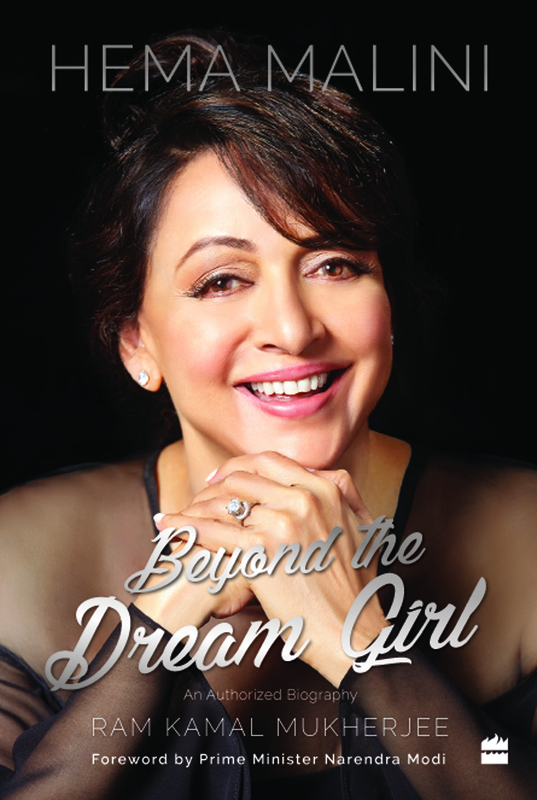 “Beyond The Dreamgirl”, published by HarperCollins India, will give readers an in-depth look into her life. “It is divided into 23 chapters, covering her childhood, teens, Bollywood, rise as an actor, romance, colleagues, marriage, her second innings, launching Shah Rukh Khan in ‘Dil Aashna Hai’ — which she directed — her ballet, her political journey and spiritual journey. There are two chapters dedicated to her daughters Esha and Ahana. “She has also spoken about her Agra accident and her singing career. We have summed it all up with a chapter called ‘Bliss’. This book will also have Hemaji’s family tree, which has not been published earlier, and there will be a lot of exclusive unseen photographs from her personal, professional and political spheres,” Mukherjee said. The ageless talent has shared an insight into her life with Dharmendra as well as spoken on political figures like Modi, Atal Bihari Vajpayee, L.K. Advani and Sushma Swaraj. How did Mukherjee get Modi to pen the foreword? “It was not something thought of when I started writing the book two years ago. I started my research and wanted somebody else to do the foreword,” he said, without naming the film industry person whom he had approached. “It was almost like a miracle to have Mr Modi write for us. When I discussed it with Hemaji, her first expression was, ‘I hope you know what you’re saying. I know you’re under pressure, but I think you’re losing your mind’. The writer feels it’s the actress’ constant effort in promoting Indian classical music and dance through her ballets on Hindu mythological characters like Durga and Meera, which Modi appreciates.